Imagine your company has just gone through the challenges of workers’ compensation claims (whether fraudulent or not). As a result, your modification rate has increased. 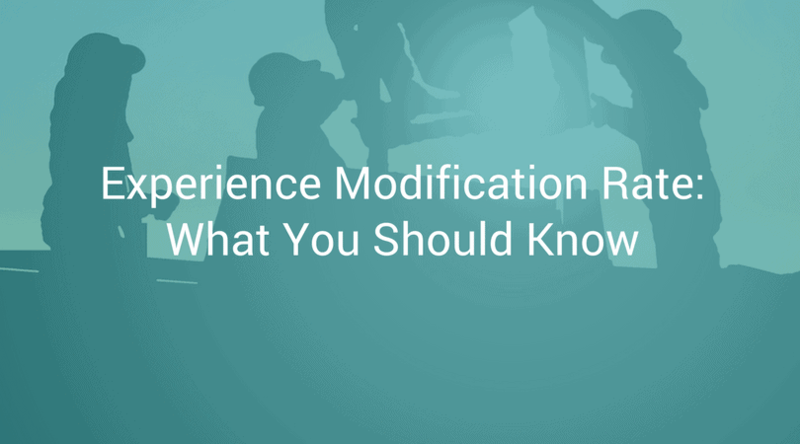 So what does that mean for you and your experience modification rate? We sat down with Rick Dalrymple to talk about that—and what every business leader needs to know about their EM Rate. Dalrymple is CEO of RJD Risk Management, Inc., a company that helps CEOs reduce operating and insurance costs. He’s also owner and Senior Vice President of IOA Risk Services, a risk management and insurance brokerage. Recall your Experience Modification Rate (E-Mod, MOD Rate, Experience Rating, or EMR) is what’s used by your insurance company to evaluate and measure risk they are taking on by having you as a client. A lower EMR of your business means a lower resulting workers’ comp insurance premium, so business owners have an incentive to do what they can to lower that perceived future risk. Looked at another way, a higher EMR classification means you’re paying a higher workers’ comp insurance premium, explains Dalrymple. So what’s “average”? Across the board, 1.0 classification is your benchmark average that you can compare yourself to. If your EMR is calculated more than 1.0, it’s likely that you’ve had a recent workers’ comp claim that’s been paid out. And, with that higher EMR, you are going to be paying a higher-than-average workers’ comp premium. But maybe your Experience Modification Rate—despite how big of an impact it could have on your business—isn’t on your radar right now. Maybe you’re a company who has not been bitten “yet” with claims, and you’re wondering, “Are we that good, or have we been lucky?” says Dalrymple. “We’ve all heard the saying, ‘Sometimes you don’t know what you don’t know.’ Well, we do know this though: claims cost money, both directly and indirectly. What we don’t know, called ‘blind spots,’ can cost us money and increase your insurance premiums,” he says. Here’s an example from Dalrymple of where you may have a bit of a blind spot. It doesn’t take much to have a workers’ compensation claim that costs $15,000 in direct costs. However, when you consider the loss of productivity and many other side effects of having the claim, the claim conservatively will cost your company over $30,000. “If you were running a 12% net profit margin, you have to generate $250,000 in additional sales just to offset the cost of that claim. Ouch!” says Dalrymple. One way you can lower your EMR is to invest in a safety program that builds in proactive activities to help avoid accidents This will help you lower your premiums over time, as your accidents are reduced in frequency and severity, the risk to insure your business goes down. Part of that process starts with education. First, understand that insurance carriers today are, bottom line, pricing your account based on expected losses (your loss ratios). They are more concerned today with their profitability than market share. “You’ve got to find ways to get underwriters to feel comfortable that you are a loss conscientious business in order to get decreases in your premiums,” says Dalrymple. Here’s another story from Dalrymple: an organization was paying $249,000 for their workers’ comp renewal. “When the underwriters received verification of new policies and procedures that they put in place to mitigate future risk, the underwriter felt more comfortable and revises their renewal quote down to $200,000, giving them an immediate $49,000 in savings for their insurance premiums.” That goes to show the power in proactive safety programs. To best explain a few of the steps you can take to improve your EMR and lower your insurance costs, keep reading. Not only will reducing risk and any resulting claims increase your operational efficiency rates, but it will lower your loss ratio and resulting premiums. That, in turn, gives underwriters justification for lowering your premiums and giving you better terms! Claims cost you money, and the majority of the time, they are caused by “not doing” various procedures and/or “things” that are considered best practices, says Dalrymple. The lesson learned here is that in order for a company to know their operational blind spots, you should be open to learn what your blind spots are via a risk assessment. “You can’t fix what you don’t know,” says Dalrymple. After you aggregate your data and get leaders involved, it’s time to get organized and establish accountability. “This my friends, is the secret sauce, that will lead you to predictable results of reducing your claims activity and lowering your insurance and operating costs,” says Dalrymple. It was such an impactful meeting, says Dalrymple, because they began reviewing many topics, and there was robust conversation across the table among the team members. Everyone learned about what was being done in certain areas, and learned what could be done to create better results and work more efficiently as a team. It was the result of collecting the right data and information. Step 3: Implement Your Proactive Safety Steps! So what do you do after assessing the risks and finding gaps in yours safety policies or program in general? Be sure your company determines what policies and procedures make the most sense for them to deploy…and then do it! Remember the example at the beginning of this article in which a company had their insurance premiums reduced $49,000? That happened because the underwriter received a narrative summary that articulated all the policies and procedures that they had put in place. Consequently, the underwriter felt more comfortable to provide better terms and lower their insurance premiums. “The point is: you need to be sure you document, articulate and show the underwriting community what you’ve done and the steps you have in place, and are taking consistently to reduce risk,” says Dalrymple. When you think about it, who does the insurance company send out to your place of business from time to time? It’s their loss control representative. Who does their loss control representative typically talk to? They typically talk to your safety folks or your HR staff. By infiltrating multiple layers of leadership within a company, you will affect more predictable success. Your insurance premiums are based on expected losses, which include an assessment of your risks and your past data. Through leading indicators—your proactive activities—iReport can help you show your insurance carrier how you’re being diligent in creating a safer, lower risk workplace. Learn more about improving performance, lowering your risk, and staying compliant with iReportSource today.